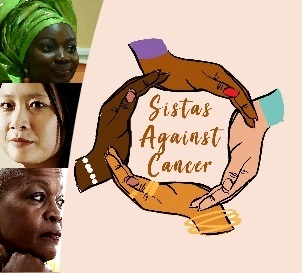 BMECC has established a new women’s cancer support group based in Nottingham called Sistas Against Cancer (SAC) as named by the patients and carers who are members. Repeated National Cancer Patient Experience Survey Programme report in the UK concluded that support for cancer patients is lacking. A leading cancer charity reported that less than 3% of cancer patients in the UK have access to a cancer support group. BME cancer patient are significantly underrepresented in UK cancer surveys and are less likely to be aware of support, or continue to attend existing support groups. In our experience language, personal BME cancer experience along the cancer journey, faith and belief system, culture and social economics deprivation are barriers in addition to a generally younger cancer patient population. One of BME Cancer Communities main focus has been on awareness raising in the community and information development to encourage research into BME cancer evidence. However, we have seen a rapid increase in BME community members affected by cancer (patients and carers) who desperately need direct support. Our response locally was to initiate and facilitate the development of support groups to attract people with a shared BME cancer experience. The first support group that BME Cancer Communities initiated in partnership with cancer patients is now an independent charity (http://fabcancersupport.org). SAC is another new initiative in partnership with BME cancer patients and carers. To support the group in Nottingham and to develop further groups across the UK your financial support would be invaluable.